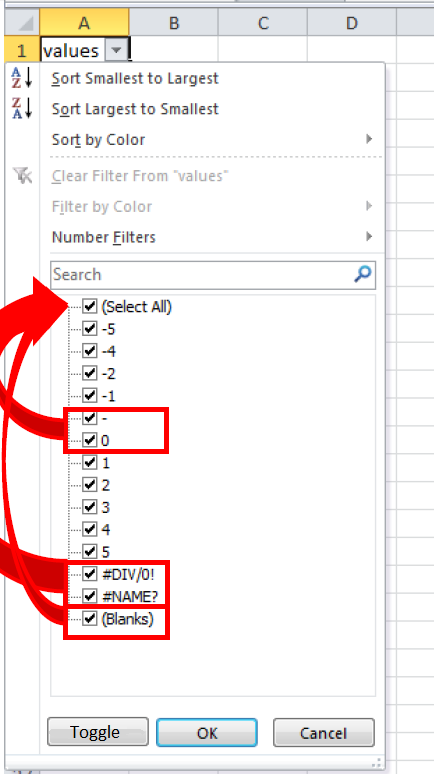 Insert a row below the category "I HAVE" and add column labels at the top of the column. Go to the Data tab and click Filter . This will add filter buttons to the column labels.